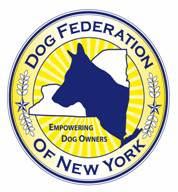 The Dog Federation of New York is a not-for-profit coalition of individual dog owners and dog-related organizations committed to responsible ownership, with a membership that spans the State of New York. Our members are animal shelter volunteers, dog trainers, pet owners, purebred dog breeders and exhibitors, animal control officers, and animal lovers. We are committed to helping public officials respond appropriately to the concerns we all share, including providing for the public’s health and safety while addressing concerns on animal welfare issues. We write to express our strong opposition to the above-captioned proposal and our grave concerns regarding the damage enactment could do to the lives of caring dog owners and their pets. The people of the State of New York deserve laws based on facts, and legislative proposals should correct shortfalls in existing law in order to safeguard public safety. Sadly, A1204 appears to be based on internet rumor and would subject both dog owner and licensed veterinarian to severe sanctions and penalties for a simple, humane and even life-saving procedure. Contrary to the tall tales circulated by individuals who choose not to understand, bark softening or canine devocalization is a minor, humane procedure accomplished by licensed veterinarians. It is an unusual measure occasionally used as a last resort by dog owners desperate to prevent uncontrollable, loud and frequent barking which has become an issue with their neighbors and within their communities. We note that the published policies of the American Veterinary Medicine Association do not support regulatory meddling in responsible veterinary care decisions such as the measures proposed by A1204. The Dog Federation of New York always encourages dog owners to be sensitive to the concerns of their neighbors and community. When all other measures have failed, "bark softening" may be the last option for dog owners struggling to keep a beloved pet in their home, and out of over-burdened shelters which may have no choice but to kill a dog that simply barks too much. Note to concerned dog owners: We encourage you to immediately contact your New York State Assemblymember and Senator to express your opposition to the above proposal. We are happy to make this flyer available to assist you in your discussions.